The 1909-winning ALCO. Read more about the car on VanderbiltCupRaces.com, run by the car’s owner and local town historian Howard Kroplick. Thanks Howard! Back in 1904, the great races of the car world were all taking place in Europe, which presumably bummed out young American gazillionaire, railroad empire scion and early motorcar enthusiast William Vanderbilt. At the start/finish. Read more about the race on VanderbiltCupRaces.com, run by town historian Howard Kroplick. Thanks Howard! So Vanderbilt started work on the Long Island Parkway. (Later dubbed the Vanderbilt Parkway.) This parkway was actually the first highway built specifically for cars, and not just the first one in America. This was the first auto-dedicated highway, period. Construction began in 1907 and it was used as a section of the course for the 1908 race, opened to the public as a toll road thereafter. If you’re curious, no, there were no speed limits. The Long Island Parkway was very much ahead of its time, predating the first automotive-oriented suburbs by a few decades. (Ironically, the first modern car-based suburb sprung up on the route of the old Vanderbilt Cup races in Levittown, Long Island after World War II.) The toll never made the road profitable, road design advanced enough that it was obsolete not long after it was finished, and eventually New York State bought the whole thing up in the ‘30s. 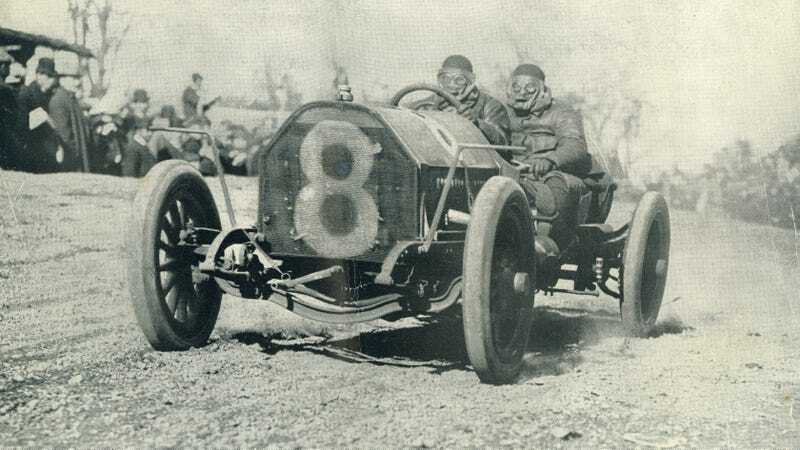 Mike Ballaban ran the course in his buddy Jesse Casco’s imported right-hand-drive Toyota MR2 Turbo, in a vain attempt to beat the winning average speed of 1909, 62 miles per hour. If William Kissam Vanderbilt II had been alive today, I like to think he’d have driven a JDM-spec MR2 Turbo also.